CIECA is the International Commission for Driver Testing, active in the fields of road safety and driver testing. In 2018, CIECA has 72 members in 39 countries worldwide. CIECAs aim is to improve driving standards, to contribute to road traffic education, to improve road safety, to protect the environment and to facilitate the mobility of road freight and passenger transport, both private and commercial. The Driver & Vehicle Agency (DVA) strives to deliver improved road safety and better regulation of the transport sector in Northern Ireland. As an integrated Executive Agency, within the Department for Infrastructure in Northern Ireland, we provide driver licensing, driver and vehicle testing, enforcement and compliance services to ensure “Safer vehicles and safer drivers”. The work that we do makes a significant and positive difference to the lives of all road users in Northern Ireland every day. We also contribute to a number of the Department’s key priority outcomes, particularly those of road safety and delivering high quality public services. Through everything we do, we consistently work to promote and improve road safety. BT is delighted to support the 50th CIECA Congress in Belfast. BT is a leading global business communications provider. With more than 17,000 people worldwide, supplying ICT services to 5,500 multinational companies across 180 countries. ‪BT combines its global strengths in networking, cloud-based unified collaboration, hybrid cloud services and security with its deep expertise and delivery model to be a trusted partner for customers. BT provides the services needed to enable the digital transformation of businesses. In Northern Ireland BT is working in partnership with the Driver & Vehicle Agency to deliver key digital transformations including modernised systems for driver licensing and testing, online commercial vehicle licensing and mobile based vehicle compliance checking. Cranmore Consulting develop innovative software solutions for all business needs through use of its own bespoke in-house product range & cutting-edge software solutions. Our agile certified software team can identify the best possible solution for your business to ensure longevity & security from your IT solution. LiveQ allows end users to work with sensitive data via customisable workflow and forms to facilitate the secure storage and retrieval of information on mobile devices. At Cranmore Consulting we provide innovative bespoke software for your organisation. LiveHACCP allows clients to design forms and capture information in real time via android devices to report on and assist in compliance with HACCP protocols. LiveHACCP is a Cloud and Mobile software solution designed to enhance your company's Total Quality Management System. Each year millions of people around the world take an exam with Pearson VUE. Chances are you, or someone you know has recently tested with us to demonstrate their knowledge, skill and commitment. We are proud to have delivered over 20 million driving theory tests and partnered with the transport industry for over 10 years. Civica Digital helps organisations that deliver essential everyday services to rapidly transform their customer experience, improve operational efficiency and enhance performance through deeper business intelligence and scalable cloud platforms. With capabilities spanning consultancy, analytics, digital services, platforms and managed services, we are a trusted digital partner to over 500 organisations. 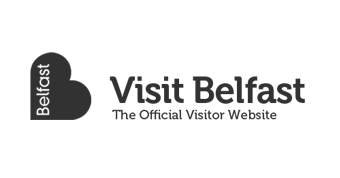 Visit Belfast is a public/private sector partnership funded and supported by Belfast City Council, Tourism Northern Ireland and the private sector. It is the official tourism marketing agency for the Belfast City Region, dedicated to promoting Belfast as a city break, conference and cruise ship destination. It is also responsible for the operation of three gateway tourist information centres. Visit Belfast represents more than 500 tourism businesses and services across the industry including accommodation providers, attractions, conference venues and services, tour operators, transport providers, entertainment venues, restaurants and cafés, pubs and clubs and event organisers. Belfast City Council is a local government authority with responsibility for part of the city of Belfast, the capital and largest city of Northern Ireland. Belfast City Council is the largest district council in Northern Ireland and serves an estimated population of 333,871. As part of the 2014/2015 reform of local government the city council area expanded and now covers an area that includes 53,000 additional residents in 21,000 households. Prometric is a trusted global provider of technology enabled testing and assessment services. Headquartered in Baltimore, Maryland, MD, U.S. its market-leading test development and delivery solutions allow clients to develop global testing programs as well as accurately measure program results and data. 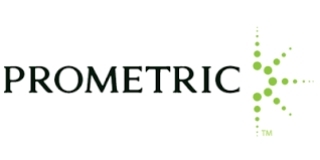 Prometric reliably delivers more than 7 million tests a year in 180 countries on behalf of 300 clients in the academic, financial, government, healthcare, professional and corporate markets. With European headquarters in Ireland, Prometric serves a number of high profile clients including the European Personnel Selection Office in Brussels and the Road Safety Authority in Ireland, for whom it managers the delivery of the Driver Theory Test service. Jelly Learn brings together the very best creative talent to focus on and deliver innovative solutions that help people learn in a much smarter more engaging manner. Formed in 2014 our strategy is to develop solutions that improve road safety. This has been evolving over the last few years following the successful delivery in 2015 of the DVSA’s hazard perception test using CGI technology. We now have our "Road Map for Road Safety" which is a suite of animated solutions that excite, engage, educate and test people of all ages as they go on their life's journey, irrespective of what form of transport they use.